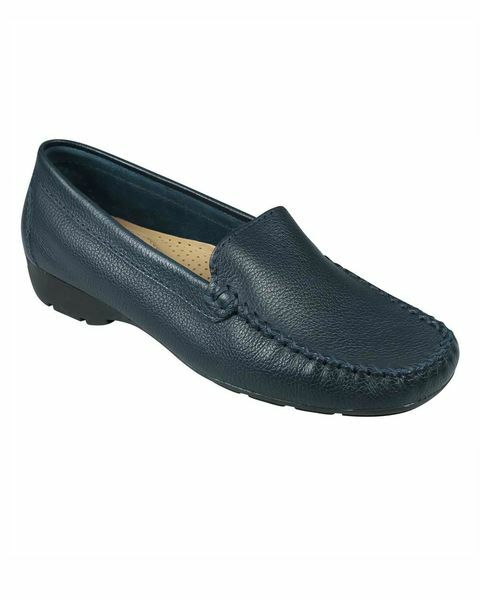 Ladies soft leather loafer. Sizes 36-41. Navy, pewter. Ladies butter soft leather loafer with decorative stitching to front. A great way to complete any outfit. With the rubber sole it adds extra grip with 1” heel. D fitting. Available in colours Navy, Pewter.